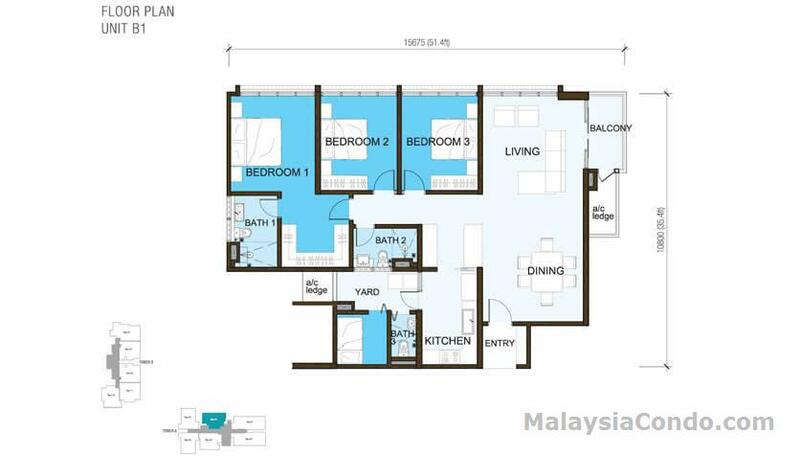 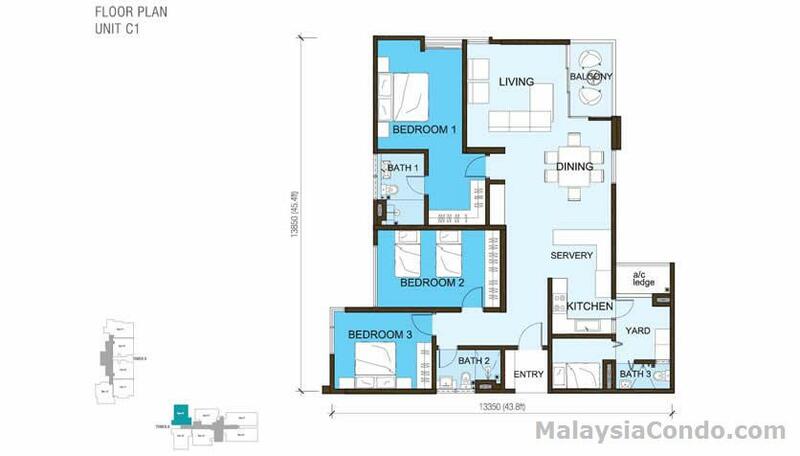 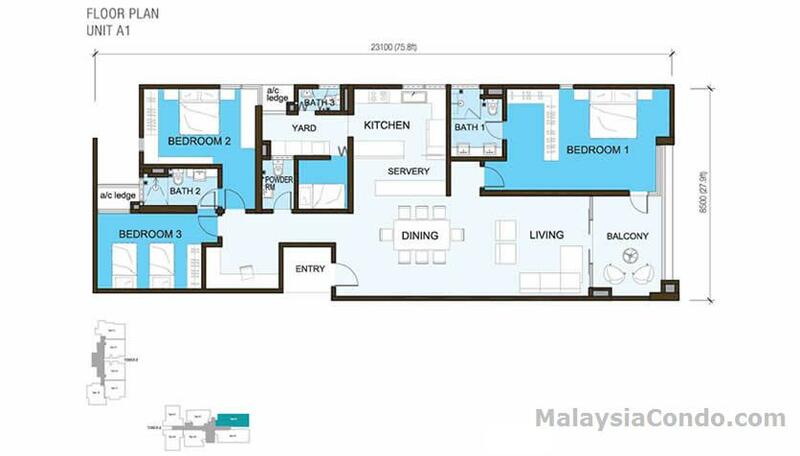 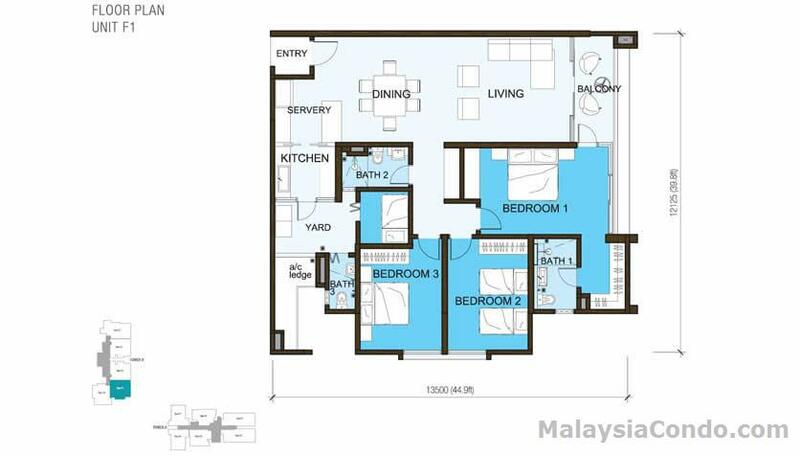 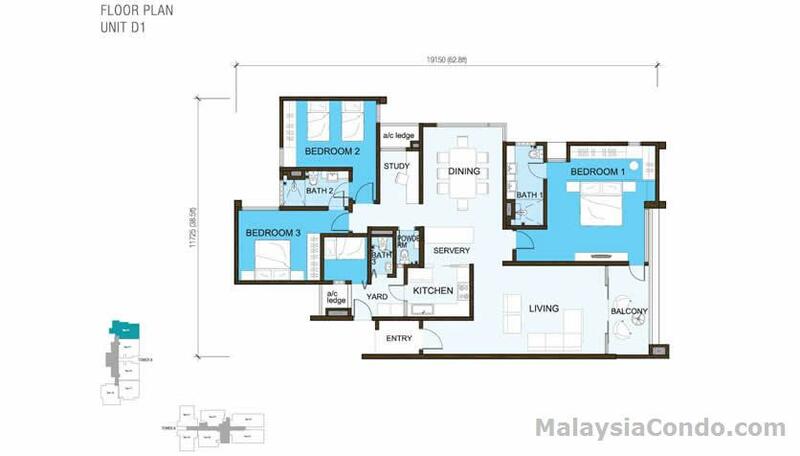 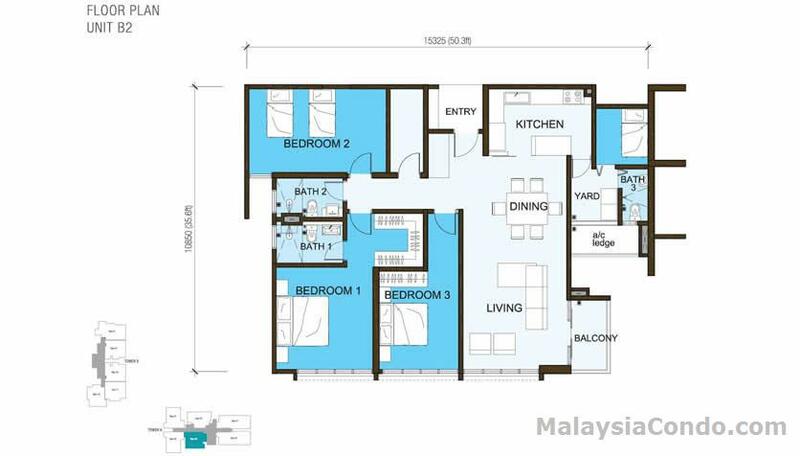 A'Marine Condominium is tucked within Sunway South Quay at Bandar Sunway, Petaling Jaya. 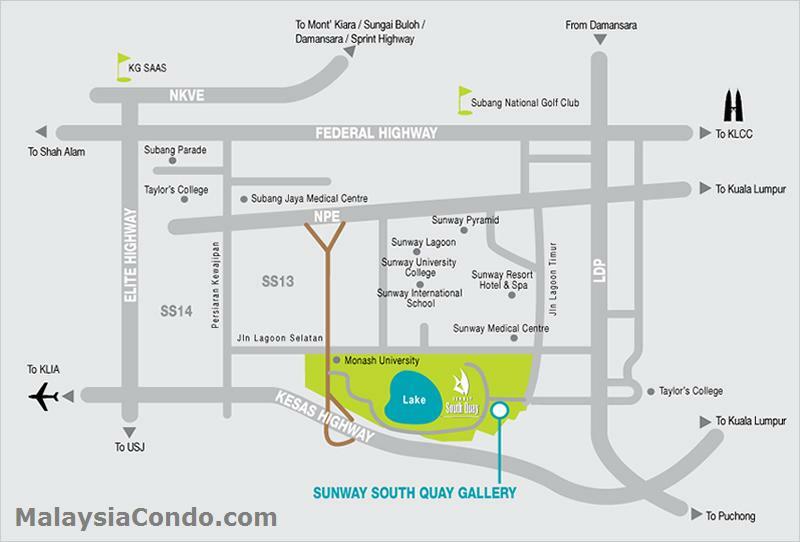 Easy access via 6 major highways such as the New Pantai Expressway (NPE), Kesas Highway, Federal Highway, NKVE, ELITE Highway and LDP. 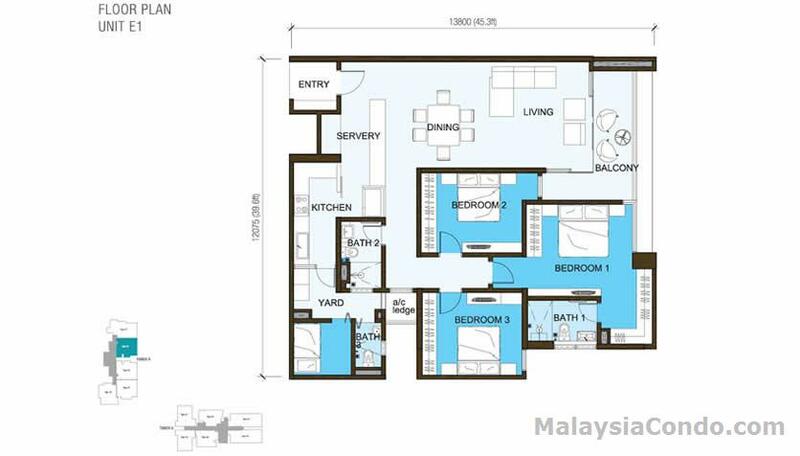 A'Marine Condominium consists two residential blocks with a total of 242 condominium units. 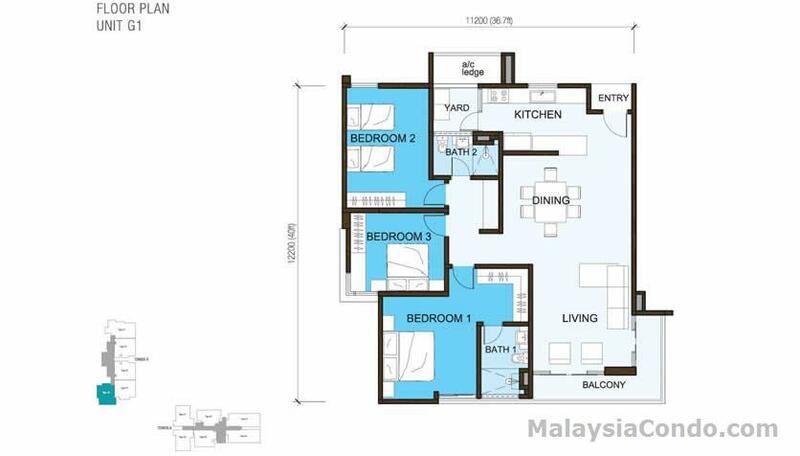 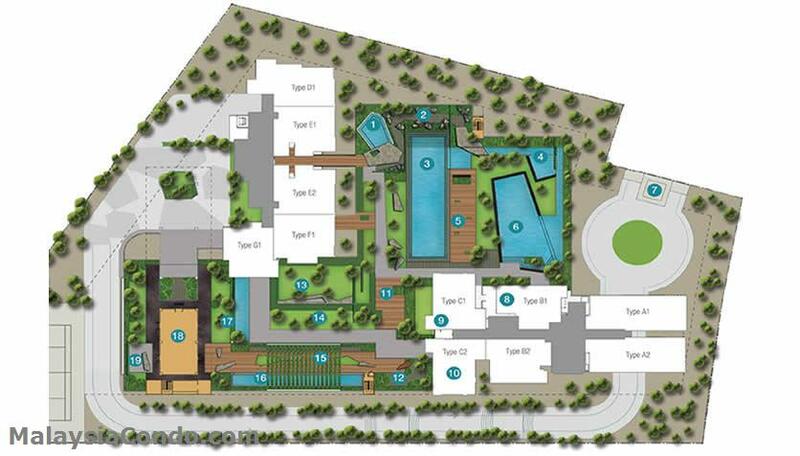 The built-up area ranging from 1,435 to 2,863 sq.ft. 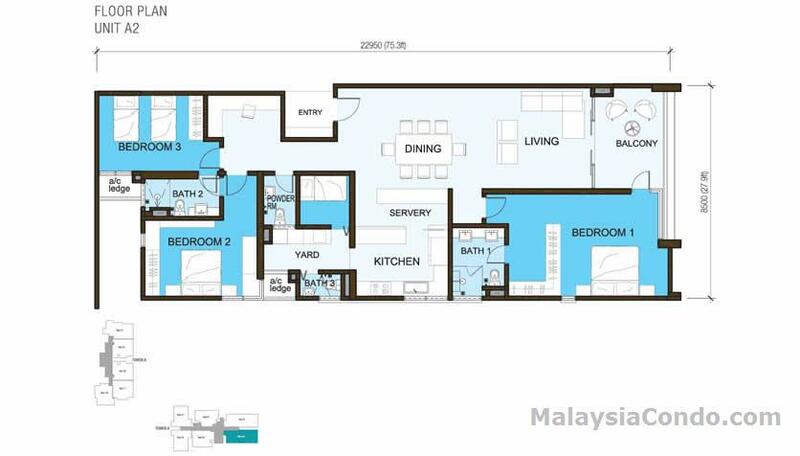 Facilities at A'Marine Condominium include roof garden, eco walk, chime garden, lap pool, reflexology stream, gym, club house and multi purpose hall.